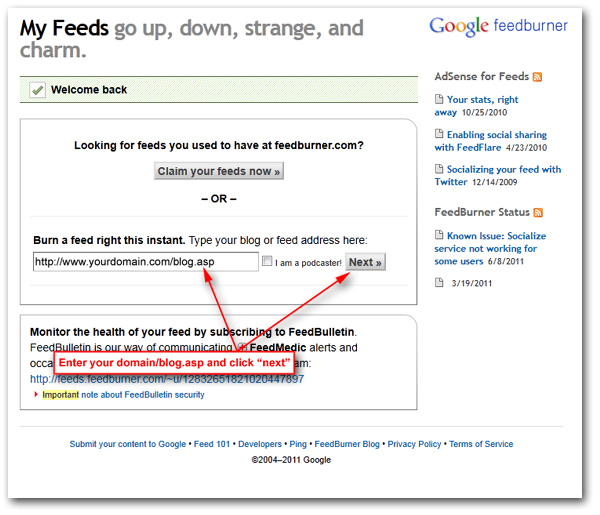 You can easily keep track of your RSS feed statistical analytics with Google's Feedburner tool. 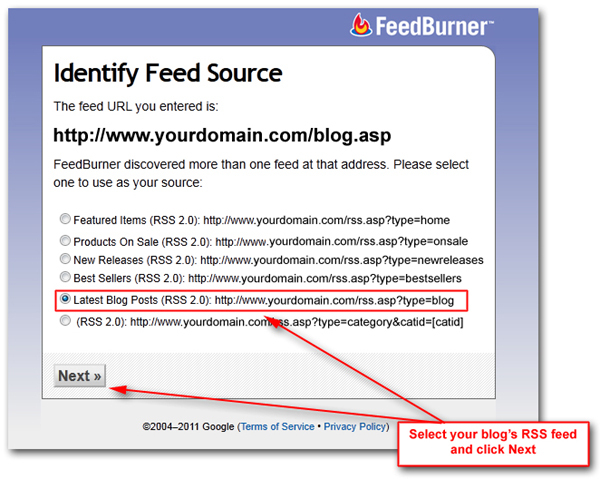 As part of your 3dcart store, you also have the ability to add your site's blog section as an RSS feed for analysis. This tutorial will outline the basic steps needed. First, log into your Feedburner account. To add your feed, simply type in the name of your site and click "Next" as shown below. you can also add the "/blog.asp" portion if you'd like. 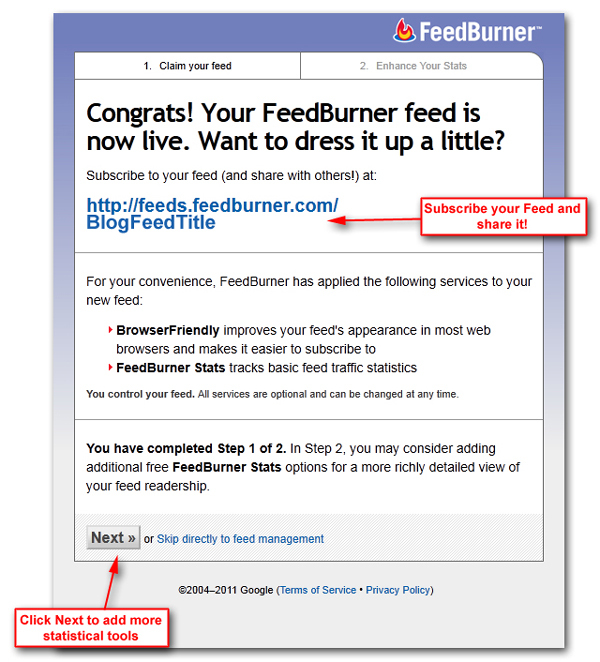 Feedburner will analyze each of the RSS feeds associated with your URL and return with the following screen. For the purposes of this tutorial, we're concentrating on the blog's RSS feed, but the same process can be applied to each of your feeds! 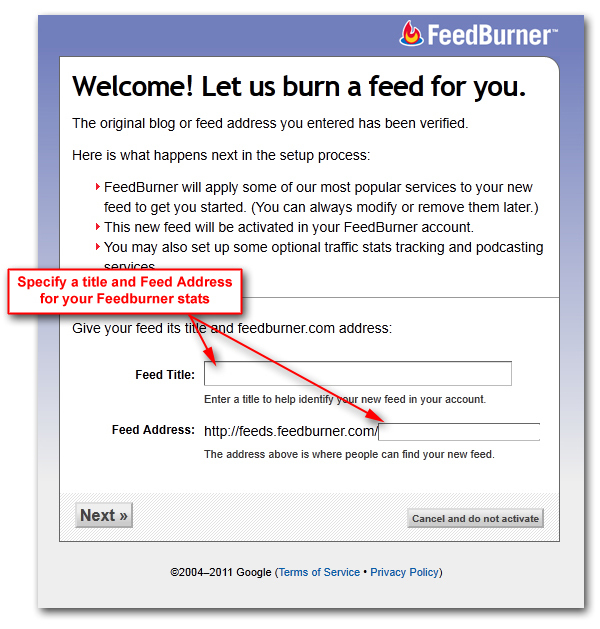 Next, specify a title and address to your Feedburner enabled feed. This will be the feed that you share with others for tracking purposes. Be sure to copy your new Feed URL, subscribe to it and share it with others! 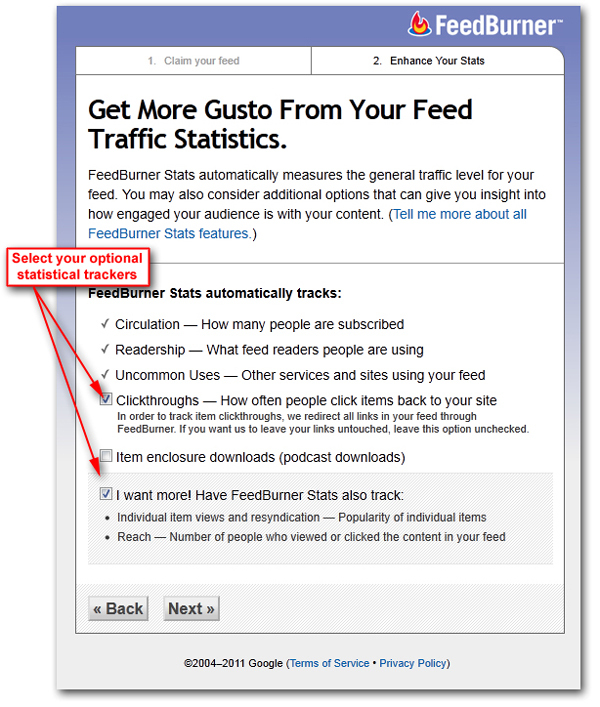 For example, additional trackers such as how often visitors click Back to your site from the feed as well as popularity statistics.